American football Quarterback Tom Brady will host the second annual Tom Brady Football Challenge to benefit Best Buddies International early next month. The game – to be held at Harvard University Football Stadium – will feature Tom Brady as Quarterback, other New England Patriots such as Dan Koppen, Julian Edelman, Tully Banta-Cain, Tedy Bruschi, other celebrities, special athletes and more! And you have the opportunity to score with Tom Brady and play alongside him in the game by entering a special Raffle! The winner will receive the opportunity to play on Tom’s team during the Football game AND attend the post-game VIP and celebrity chef tailgate event! As with traditional football, the game will be played in four quarters, and each quarter will have rotating teams on the field, but Tom Brady will remain as a fixed Quarter Back. 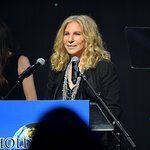 Teams will be made up of celebrities, athletes, and the beneficiaries of the event – the Best Buddies – individuals with intellectual and developmental disabilities. And a half time show will feature entertainment and surprise guests! 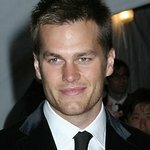 Tom Brady is well known for his work supporting Best Buddies International’s work – in May, 2009, he led a charity bike challenge for the organization, and in the previous year he donated $24,000 to the charity. Best Buddies is a non-profit organization dedicated to providing friends and jobs for people with intellectual disabilities. Founded in 1989 by Anthony K. Shriver, Best Buddies is a vibrant, international organization that has grown from one original chapter to more than 1,400 middle school, high school and college campuses across the country and internationally. Best Buddies volunteers annually contribute services that estimate a value of $70 million – at no cost to the community. Find out more about the Tom Brady Football Challenge here.